You always expect your car to be able to stop on a dime. The moment they don't, you will regret not taking better care of your car's brakes. Performance Nissan is here to ensure that does not happen. We provide a long list of auto brake services including brake inspections, repairs, and replacements. Whether you just need to have your brakes bled, a new set of brake pads, or an entirely new brake kit, the skilled brake specialists at Performance Nissan are here to help. We specialize in a wide range of Nissan brake services and will ensure that your vehicle is always ready to stop when you need it to. Your car's brakes are the most important safety feature it has, and with help from Performance Nissan, it's easy to ensure that you and your passengers are always secure on the road. 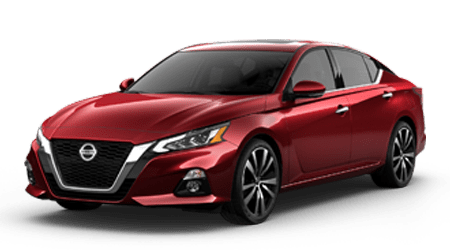 Performance Nissan can service all types of car brakes including disc and drum models; we also specialize in all things ABS and can take care of any problem that may arise with your anti-lock brakes as well as any pre-collision braking system. We carry a wide range of brake components including brake pads, shoes, calipers, rotors, hoses and lines, and master cylinders. Whether you need a quick brake safety inspection before you head out for your next road trip, or you need to replace or repair any brake component, you can count on Performance Nissan to get the job done professionally and without a hassle. We proudly provide brake service to drivers from . Make a service appointment today for an auto brake inspection or brake repairs for your vehicle at Performance Nissan.